VisTech.Projects: MapTrack: 8 months around Africa. 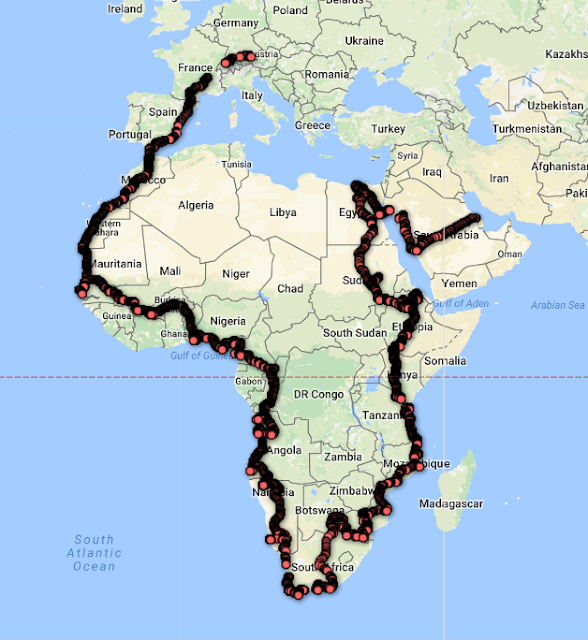 MapTrack: 8 months around Africa. Two years ago MapTrack was used for 11 months trip around the US. This year it covered a new continent - Africa. Andreas and Sveta used the app during 8 months trip around Africa and they were kind enough to share these beautiful pictures. We would like to thank them for choosing our app and for proving feedback and suggestions regarding the app improvements. Спасибо! MapTrack is Android app for recording and sharing tracks in real time. Google Drive is used to save and share data. You need to use your Google account and you can manage tracks from Google Drive. The app does not require registration on third-party services and your followers can view your track in usual web browsers on Google Maps.